Snow at Otterburn by Maria Gray. A section of the B6341 Alnwick to Rothbury road has now reopened as snow made for difficult driving conditions in Northumberland this morning. The B6341 was closed from the Lemmington crossroads to the A697 after several vehicles were stranded at Corby’s Crags earlier. The road is not officially closed from the A697 to Rothbury as reported elsewhere, but motorists are not advised to use it. Eve Wilson took this picture of snow in Shilbottle this morning. The A68 is closed on both directions between the B6318 and A6079, but is expected to reopen by 10.45am. Further north, it is also closed between the A696 junction and the Rochester junction following an accident. All Arriva bus services in Newcastle and south-east Northumberland which are operated by the Ashington depot currently disrupted due to snowy conditions, while Otterburn and Kielder First Schools are closed today. 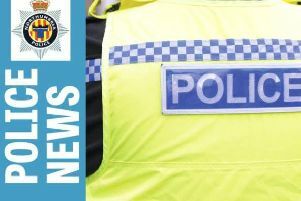 Northumbria Police is advising road users to take additional care on the region’s roads in the current snowy road conditions across the force. There are difficult driving conditions in places, however, most roads are passable with care. Weather forecasts suggest that the snow will move through quickly with last night’s Met Office weather warnings for snow and ice in the region only in place until late morning/lunchtime. Earlier today, the warning was extended to cover the whole of Northumberland up until 3pm.